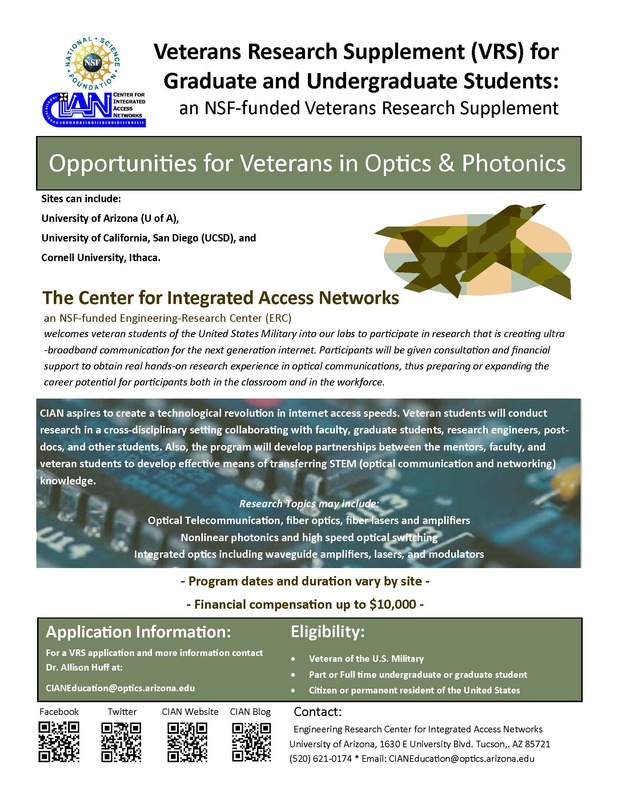 CIAN welcomes veteran students (undergraduate and graduate) of the United States Military into our labs to participate in research that is creating ultra-broadband communication for the next generation internet. Participants will be given consultation and financial support to obtain real hands-on research experience in optical communications, thus preparing or expanding the career potential for participants both in the classroom and in the workforce. 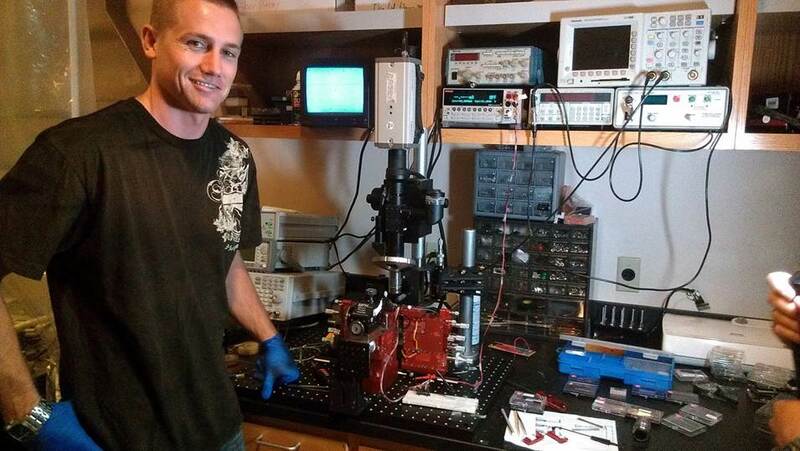 University students majoring in Science, Technology, Engineering, or Mathematics (STEM) as an undergraduate or graduate student and who are also veterans of the United States Military. Minimum 3.0 GPA on a 4.0 scale. US Citizenship or permanent residency is required.